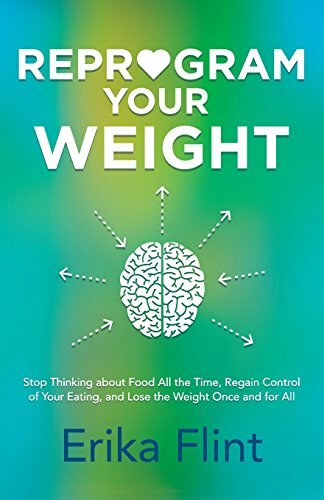 Hi, I’m Erika Flint, award-winning hypnotherapist and accredited, board-certified instructor at Cascade Hypnosis Center and author of the books Reprogram Your Weight and Lighter. Hypnosis for weight loss worked for me, and that’s why I am so passionate about helping other people with it now. What I appreciate more than anything else with hypnosis for weight loss is how it integrates into my everyday life. Techniques I learned for my own healthy eating are just now part of what I do – without even thinking about it. No more lists, points, counting, or spending so much effort every day supporting my desire to be healthy and be at a healthy weight*. Our approach at Cascade Hypnosis Center to weight loss is based on the most important aspect of any hypnosis session – you! Based on experience, our approach begins with a careful assessment of your current habits. Next, we take a close look at how you feel, because when you feel great inside you’re much more likely to choose healthy options without even thinking about it. Wouldn’t it be nice to just not think about your weight as often? Most clients we see have tried everything to lose weight, and have been suffering the ill effects of additional weight for quite some time. Hypnosis supports a healthy lifestyle by empowering you to be yourself and naturally lose weight, safely, and change your relationship with food. Hypnosis is a natural, safe, and effective approach to weight loss because there are no pills or diets. The changes you’ll make using our program help you change your relationship with food and how you feel inside, leading you to a more satisfying and fulfilling life. Most weight loss programs don’t address one very important aspect of why people gain weight in the first place – the underlying emotional cause for over eating and not being motivated to exercise. Our weight loss program goes to the root problem – the underlying emotional reasons for over eating and weight gain. At the same time we address and help you modify habitual patterns that are causing the weight gain. This two-prong approach leads to changes in your relationship with food. Why do I eat something when I’m not hungry? It can be very frustrating to know that you shouldn’t eat something, and even plan on eating healthy throughout the day only to eat it anyway. There can be many reasons why people eat when they’re not hungry. Some are habitual, others are to distract from painful emotions, and others are to just relax and have a good time. For some people, a good meal or snack is the most enjoyable part of any day. It’s hard for them to give up the one thing that they find pleasure in. Thankfully all of these issues can be addressed with hypnosis. We have a lot of experience helping people with all types of over eating and motivational issues. At Cascade Hypnosis Center, one of our specialties is helping people lose weight. And we’ve helped hundreds of clients lose weight with our safe, powerful, and effective approach. If you’d like to read what our clients are saying about Cascade Hypnosis Center, read our testimonials. Give us a call today at 360-392-8723 or contact us to schedule the first appointment on your path to a healthier you. We see most weight loss clients for 5-6 sessions, scheduled about a week apart. But most clients start feeling better after the first session. We would love to hear from you and answer any questions you have about how hypnosis for weight loss works. *Results May Vary: Weight loss results will vary from person to person. No individual result should be seen as typical. Hypnosis does not do the work for you! It helps you be more successful in what you already know you need to do.